One of the benefits that Vic provides with The Markarian Realty Group is an innovative team sales system. When you work with Vic, you’re not hiring an agent, you’re hiring an entire team of some of the highest-rated real estate professionals available anywhere. 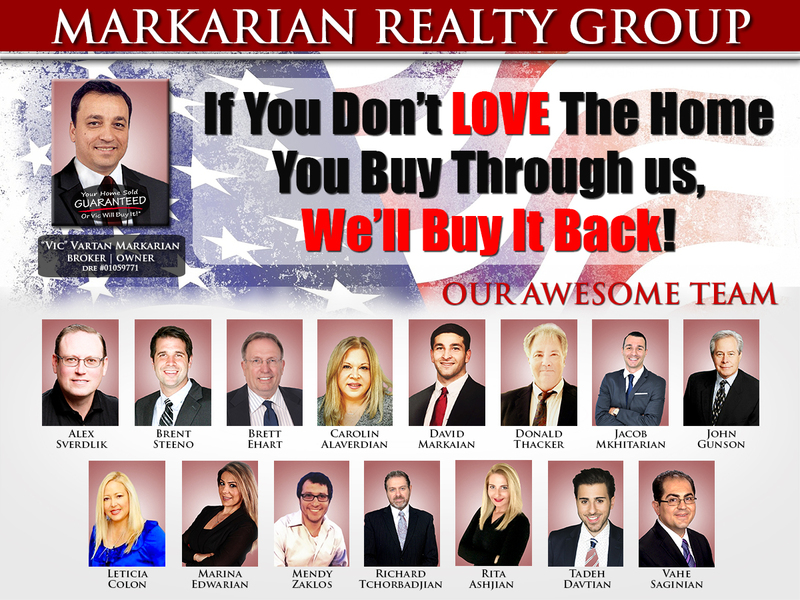 The entire Markarian Realty Team attribute their success to always putting their client’s needs first, above all else. This is something that many agents say, but the Markarian Realty Team are on a mission to actually DO it by providing their clients several GUARANTEE programs that take the risk out of selling or buying a home. They become passionate about providing these guarantees, and at the same time making each client feel as though they are their only client. Vic leads his team with the philosophy that if every family he is working with is so happy that they write a 5-Star review, refer their friends, and call again in the future, then he will have a long and happy future. Here's to the next 30 years. 6 BIG REASONS TO CALL THE VIC MARKARIAN TEAM TO SELL YOUR HOME! We have OVER 19500 buyers in our database looking for a home in the area. It is likely that the buyer for your home is already in my database - Your home may already be SOLD! Vic Markarian and Markarian Realty Team will get your home sold fast. Markarian Team sells their homes at an average rate of only about 12 days on the market compared to 44 days for average agents in the area. We sell our clients homes for an average of 6.1% more money compared to the average area agent. On a $600,000 home, that's an extra $36,000 more money in your pocket. Not only do we sell our clients homes for more money and faster than average area agent, your home is Guaranteed to sell. Our team has about 96 percent success rate in selling homes versus the average agents 72 percent success rate. We sell over 80 more homes than your average agent. Because we sell more homes, we can do more for you. 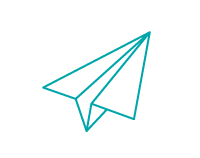 We can market and advertise more diligently to ensure your success. 6.) THERE IS NO RISK! We offer Performance Guarantees* to our Clients. In fact, we're willing to buy a buyer's home so they can buy yours. YOUR HOME SOLD GUARANTEED OR VIC WILL BUY IT. No gimmicks! Call Vic Markarian for more details at 818-248-8668. *Seller and Vic must agree to price and terms. ** Source mls Jan 2013 to Feb 2015 call for details 818-248-8668. Great staff. They were all very helpful in finding our dream home and guiding us through each process. Always addressed our concerns and questions right away. Love this guy! "Thank you Vic Markarian for selling my Glendale home in just 10 days! We interviewed the top three agents in our area, and Vic blew the competition away in service and marketing. Your team did an outstanding job all the way through closing. Your photographer did a great job with the 3D images and virtual tour. Thank you for recommending your cleaning and gardening crew: they were a wonderful help. Vic's courteous and quick communication made things easy. We would definitely recommend you to our closest friends and family. P.S. We are sorry you had to deal with our tenants, but thanks for doing so. Thank you again! God Bless!